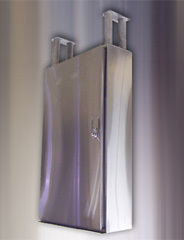 Welk-ko offers a wide variety of stainless steel enclosures. 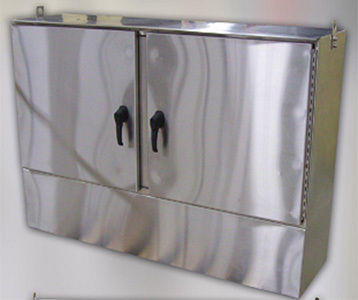 Stainless Steel type 4X enclosures are the perfect match for indoor and outdoor corrosive environments. NEMA 4x enclosures provide the ultimate protection for areas that are exposed to water or other fluids. Welk-ko Fabricators offers the industry standard single and multi-door enclosures as well as custom stainless steel products that are not found in an average catalog. 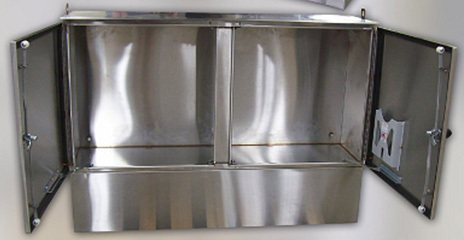 At an affordable price Welk-ko is your fabricator for all types of Stainless Steel Enclosures. See pictures below.